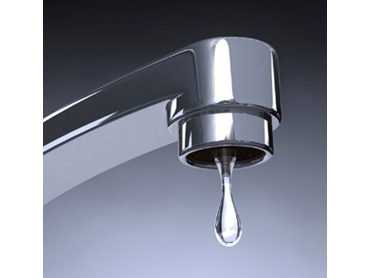 One dripping tap dripping at 1 drip per second wastes about 5,000 litres of water per year. Or look at it this way one cup of tea or coffee equals 200mls of water. So 5,000lt of water equals 25,000 cups of tea or coffee each year. The average person who drinks 5 cups of tea or coffee per day only drinks 1825 cups per year leaving 23,175 cups still to be drunk. Many DIY sites will show you how it fix that dripper on your household taps. If you are unsure please contact your local plumber for help. Your mini irrigation water system is one of the best and most efficient ways to water your garden however over time problems do arise. A simple check of the output of the system should be carried out each year to make sure that the correct flow is going to your plants. While the best way to check is to measure the output of each sprayer or dripper the simple way is to measure the output from the 1st take-off then ½ way along the system and the last take-off. These should be the same out-put plus or minus 10%. A visual check of the other take-off should confirm that each unit is not blocked. Please remember that a complete check of each take-off will give the best results. Using a soil moisture meter will make sure that you use water in the ,most effective way. Keep a good layer of mulch around your plants and your garden should make the most of the water you provide. Use the soil moisture tester before you water your lawn for the most use of water. Take advantage for the any Government programs in your areas to change shower head to water wise heads. See the Save Water Alliance for details. In most of our cities storm water is a problem and is wasted so if you live in a area that has town water think about installing a rain water tank to water your garden flush your toilet. Governments around Australia have a number of schemes to help with the costs contact any of the water tank manufactures who should help you with the details of how to apply for government rebates. There are many ways to save water which we must do personally do it. Why? Clean water is one of the most important items we need for life saving it will mean we help each other have the best life we can.